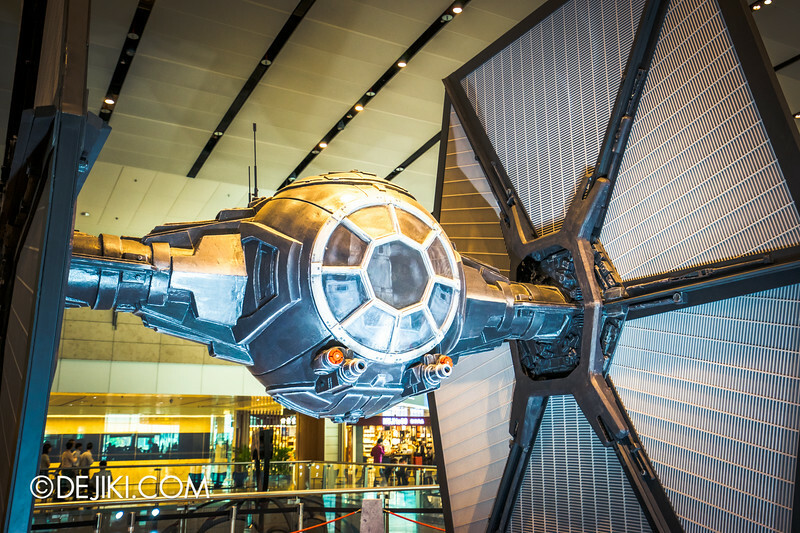 Star Wars has landed at Singapore Changi Airport! 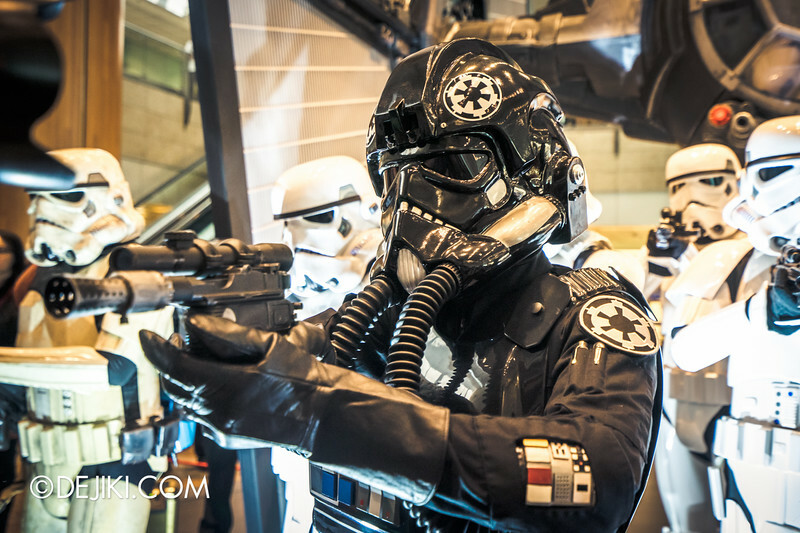 Check out the cool starfighters and characters from the world of Star Wars here! 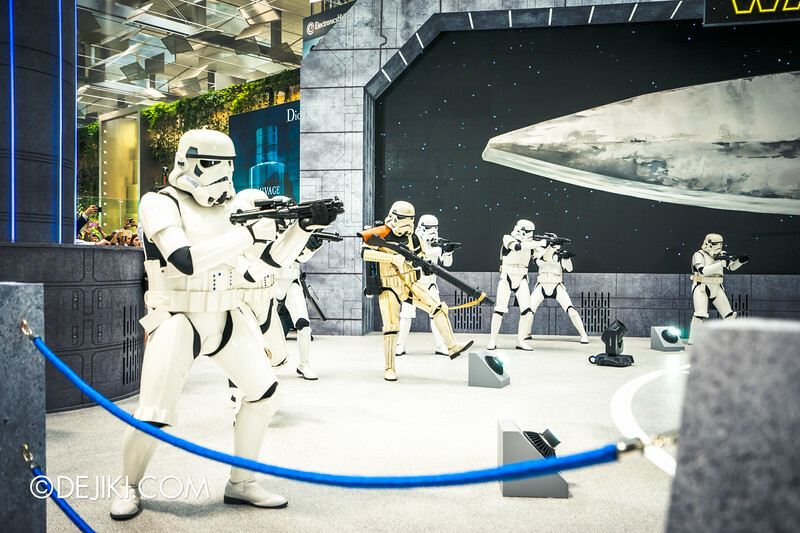 From now till 5 January 2016, enjoy Star Wars-themed experiences at Changi Airport, with exhibits, character appearances and cute plush toys exclusive to the airport! 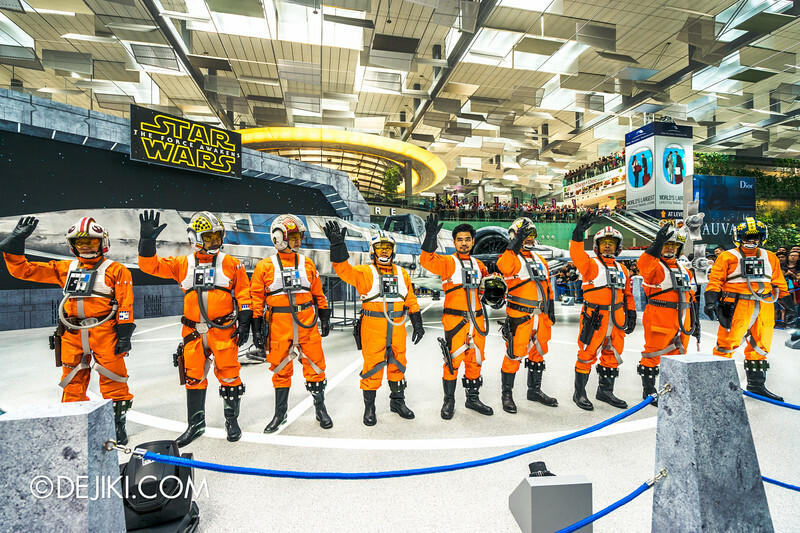 This is part of the airport’s year-end festivities, and of course, to celebrate the release of Star Wars: The Force Awakens in Singapore next month. 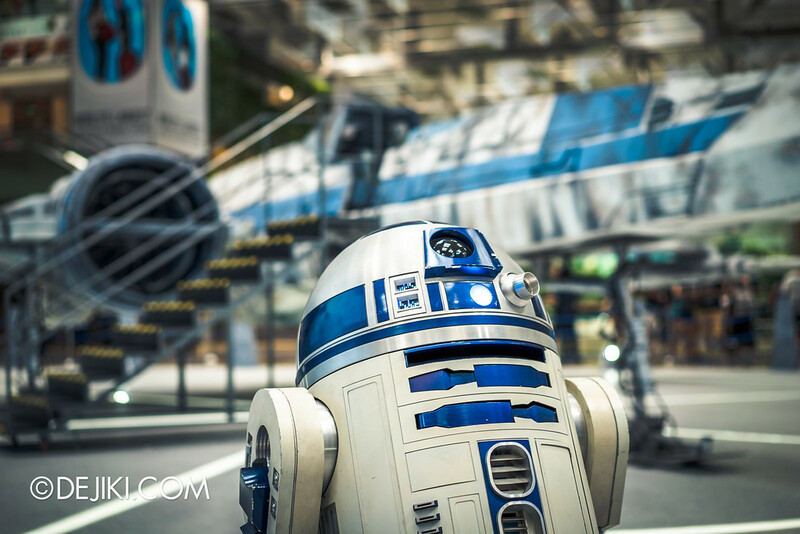 R2-D2’s here too, although many Star Wars fans have already pointed out that it’s the wrong astromech droid. 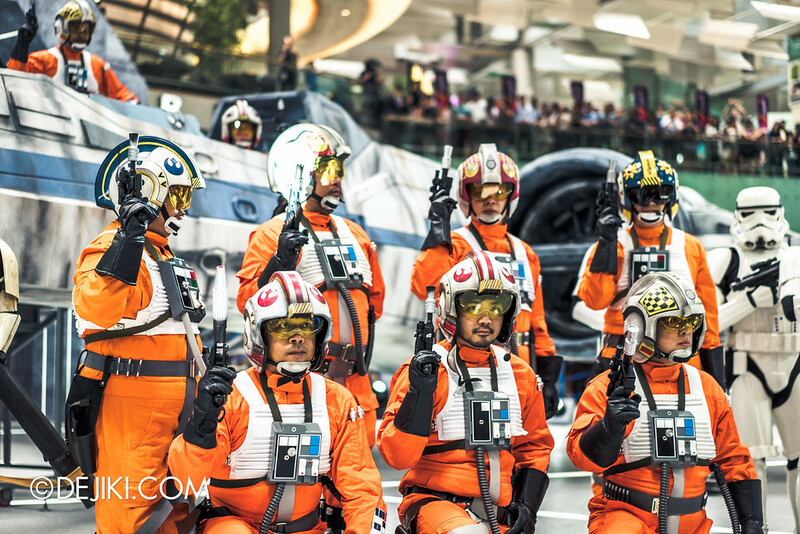 A short performance, or ‘character parade’ gave a finishing touch to the launch of Star Wars at Changi. 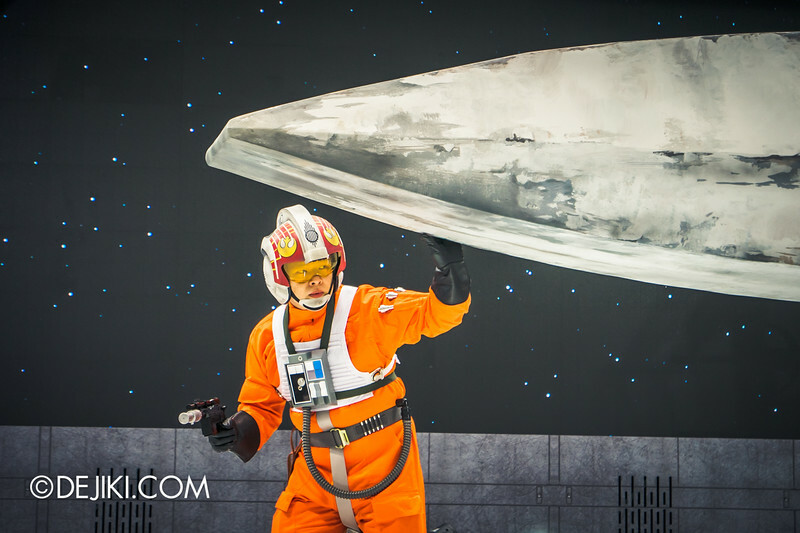 It was a confusing show, but still quite entertaining for all to see so many costumed characters. 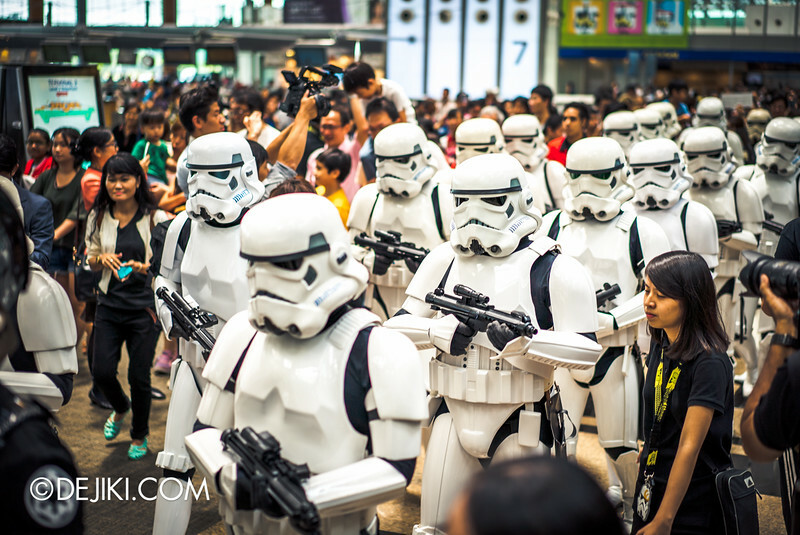 The Stormtroopers arrive (to capture the X-Wing?) and after a while everyone just decided to pose for photos. Feels like you’re in a game. 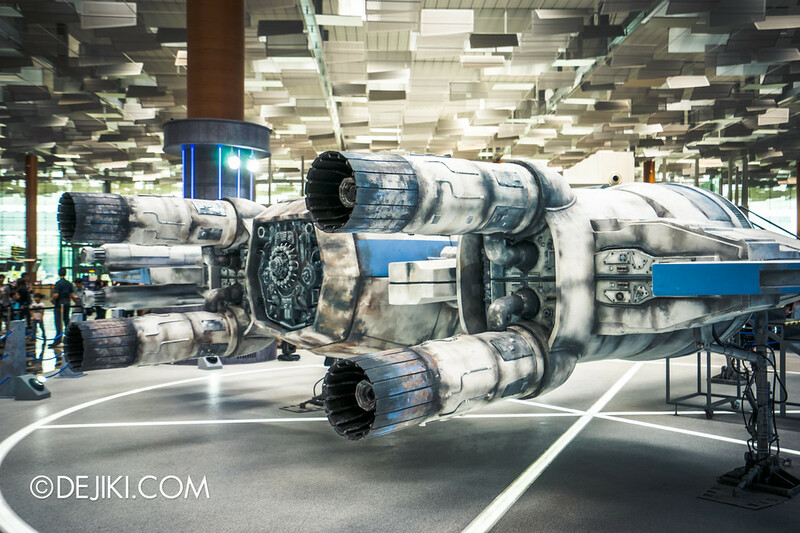 I’m sure the Airport guests will love this, because you actually hop inside the X-Wing’s cockpit and get your photo taken! 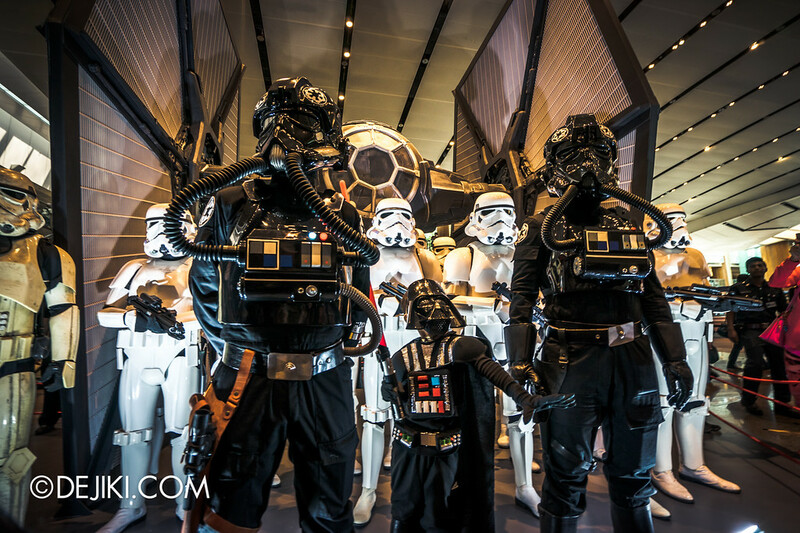 During select times, Pilots and Stormtroopers will be making appearances too. Scroll down for more detailed info on this! 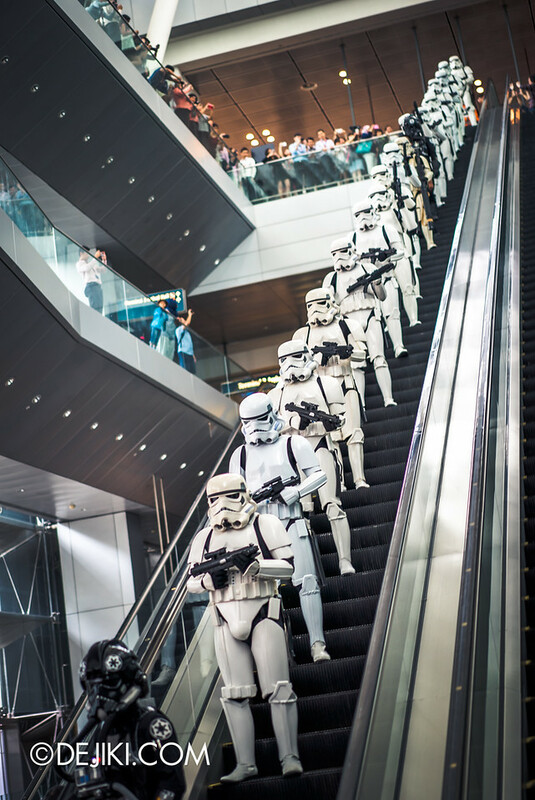 As part of the one time-only show, the Stormtroopers marched from Terminal 3 to Terminal 2. 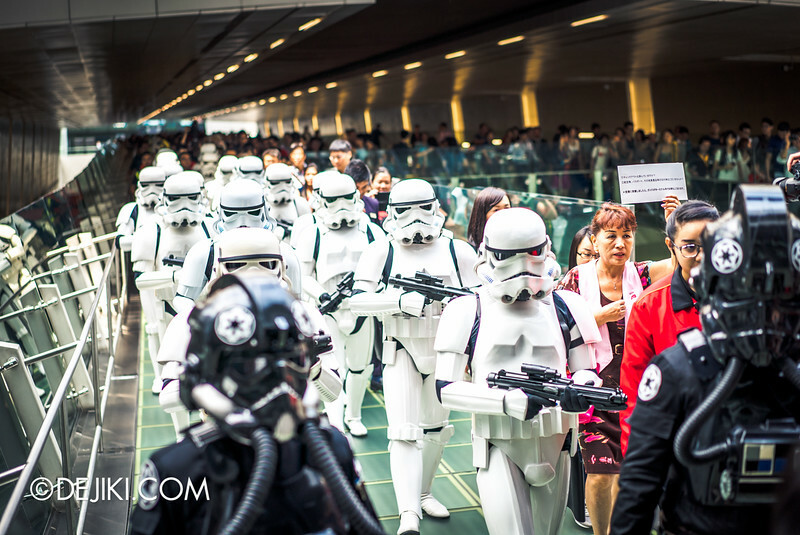 It was a little chaotic because there were too many fans excited to see Stormtroopers marching around the Airport. 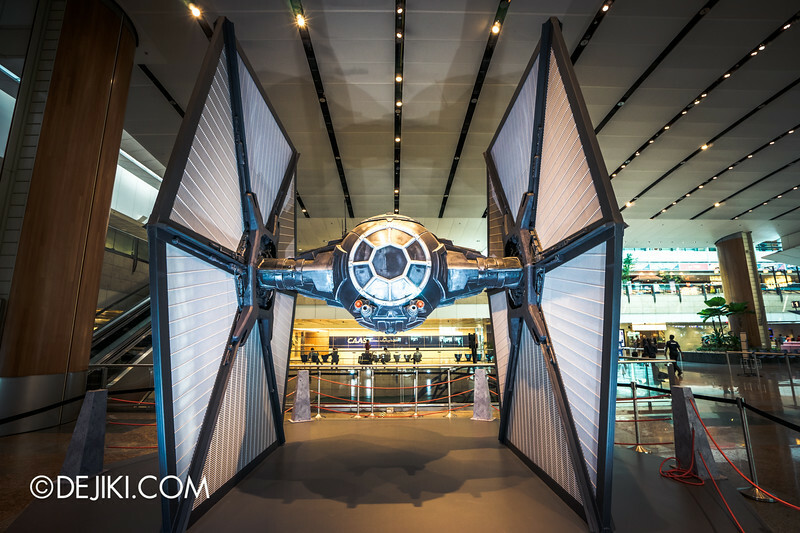 And even using the Airport’s escalators..
At Terminal 2, you can find the TIE Fighter across from Check-In Row 1 (and Krispy Kreme). It’s described as 1:1 scale, but I think it should be slightly larger? There are no activities here so it’s always available for photo taking during the campaign period. 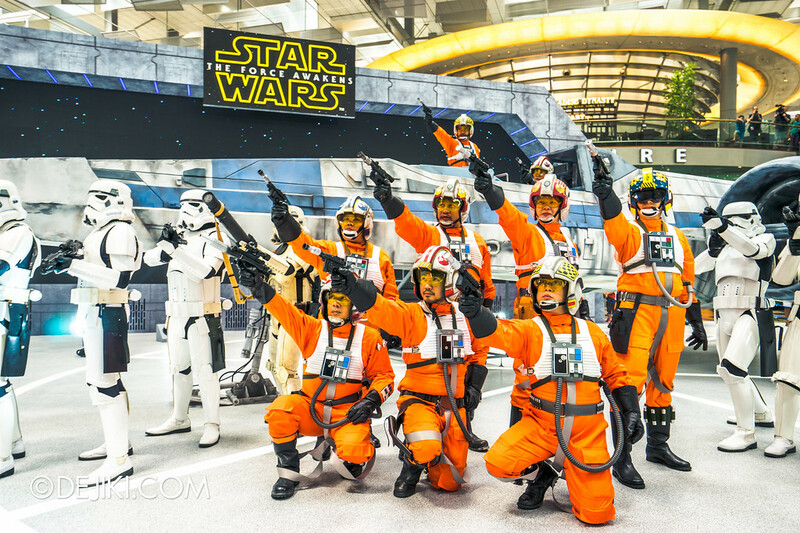 Of course, all the characters gathered here for cool photo ops as part of the launch! Including a Kid Darth Vader. Who is this??? 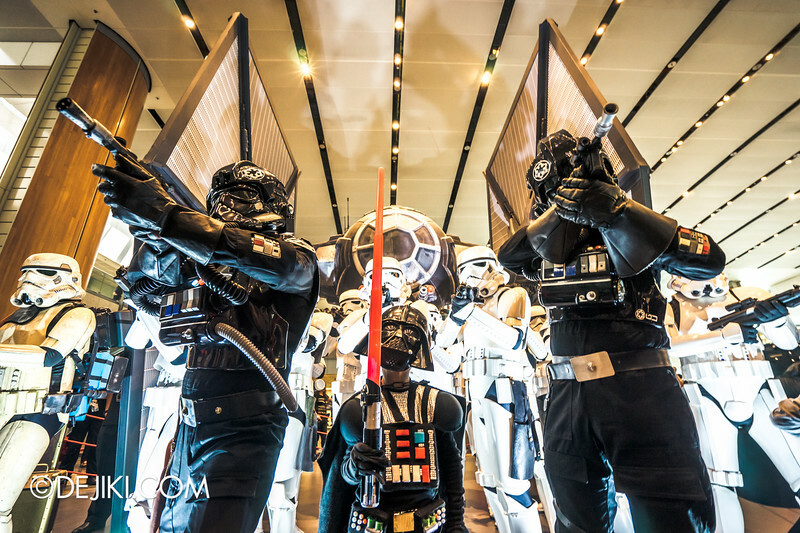 Special Thanks: Changi Airport for inviting us to the ‘Star Wars at Changi’ launch event. 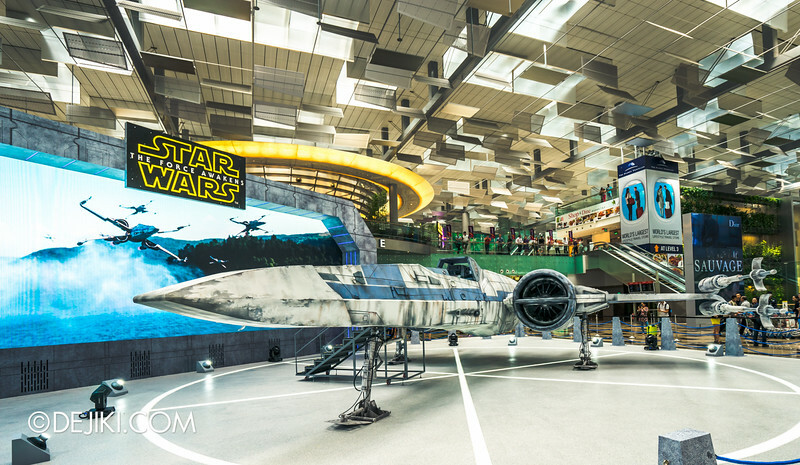 The X-Wing Starfighter at Changi Airport Terminal 3 will be open to visitors for boarding. One person inside the cockpit at any time, please. 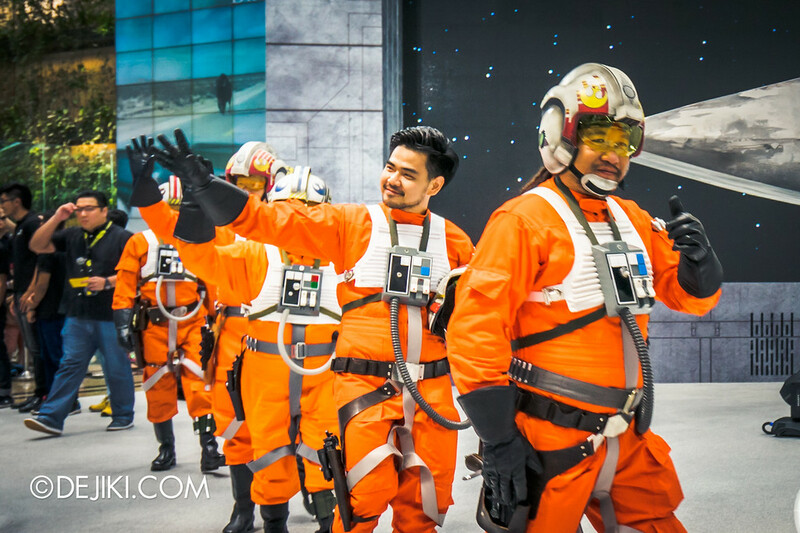 Tickets to board the X-Wing Fighter will be distributed on a first come, first served basis, with only 80 tickets for each timeslot. 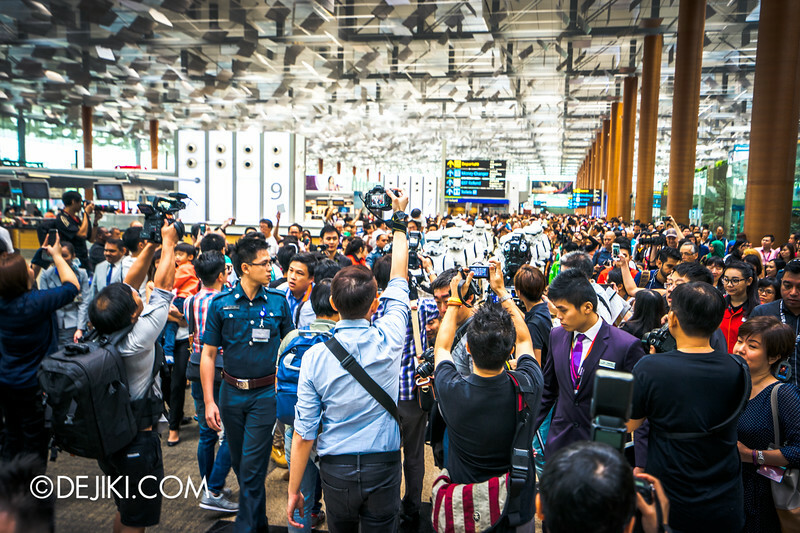 No need to spend at the Airport, just queue! The airport will be giving out a free photo print (wow!) for pilot-wannabes. 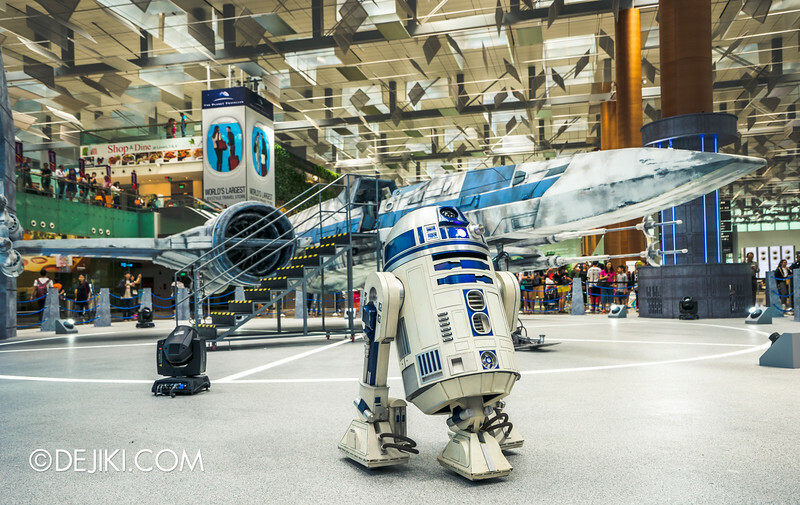 Of course, if you don’t want to pilot the X-Wing, you can take a photo of it anytime you like – the airport’s open 24/7. *Subject to change, check at the airport for more details. 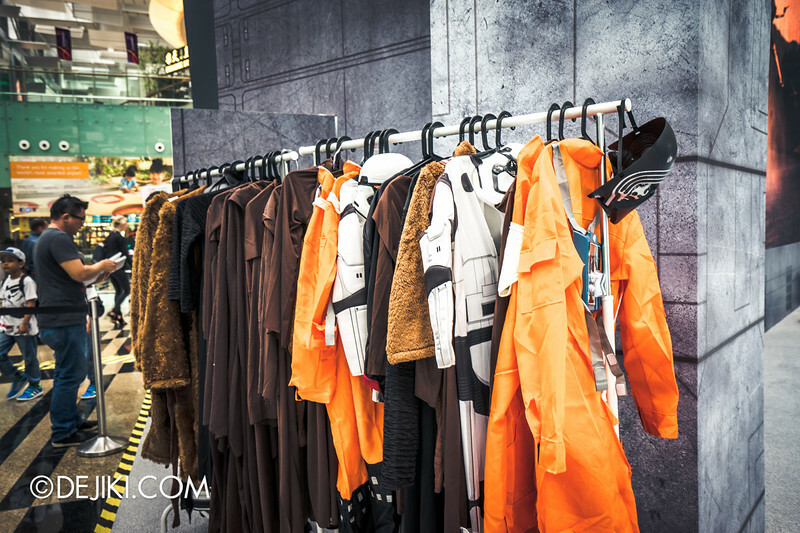 Some costumes are available, so you can dress up as an X-Wing Pilot, Jedi Knight, Stormtrooper, or even Kylo Ren. 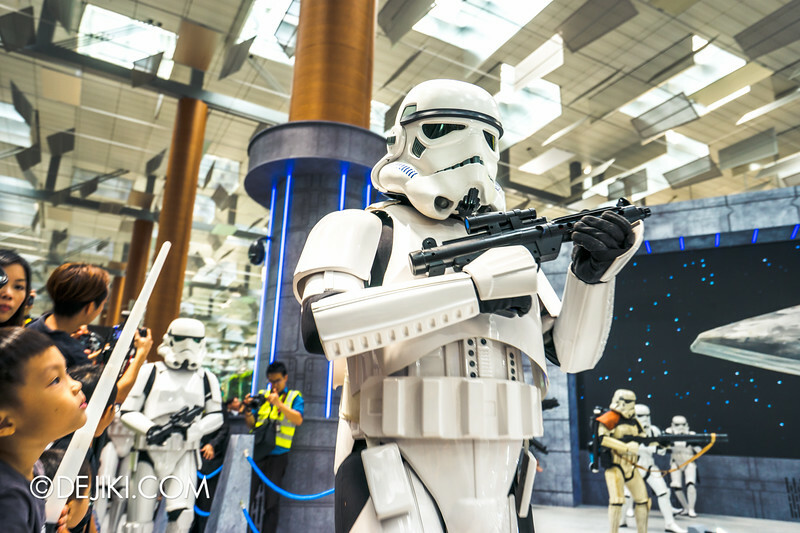 Some characters that you’ve seen in this post will be making reappearances on certain Saturdays at Changi Airport Terminal 3! 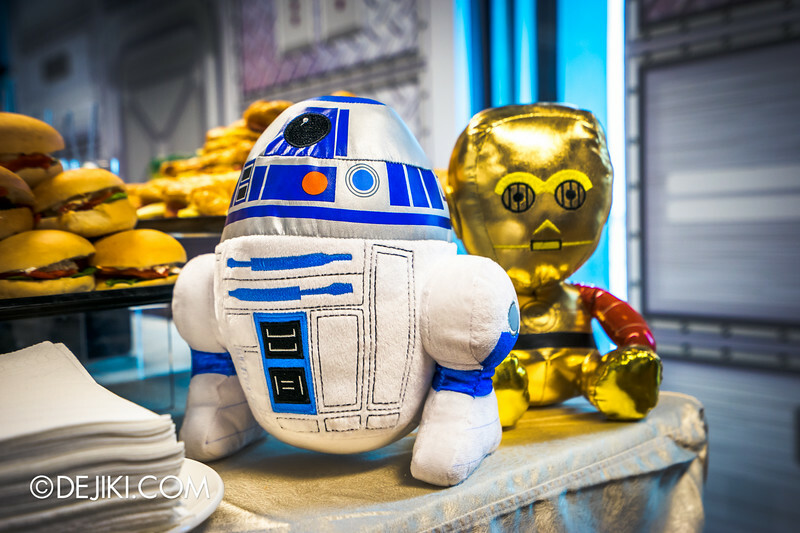 These are just four out of 8 designs in the series of toys exclusive to Changi! 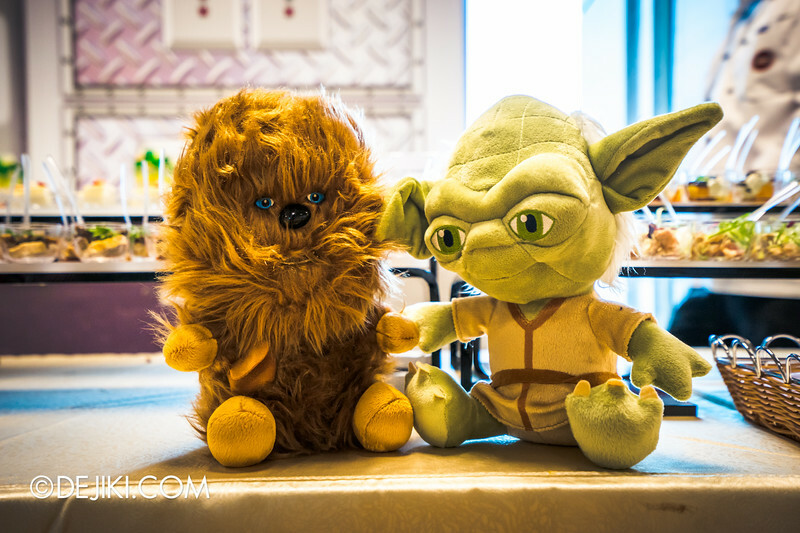 From 17 November, these adorable Changi Airport’s exclusive Star Wars plush toys will be up for redemption at the Airport. Not all 8 of them are available from the start, and you’ll need to spend at the Airport Mall to redeem one toy for $6, or even for free (certain conditions such as hitting a minimum spend at the online store). 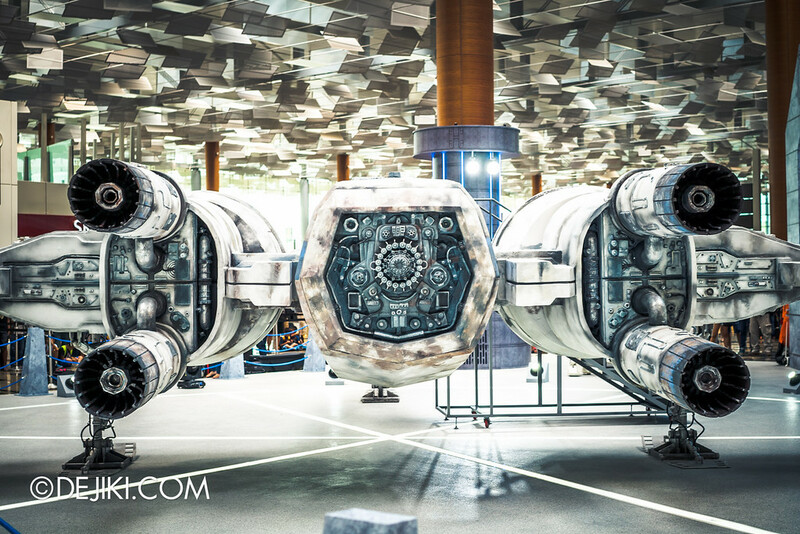 Psst – Geek Culture has an awesome pro tip on getting them! 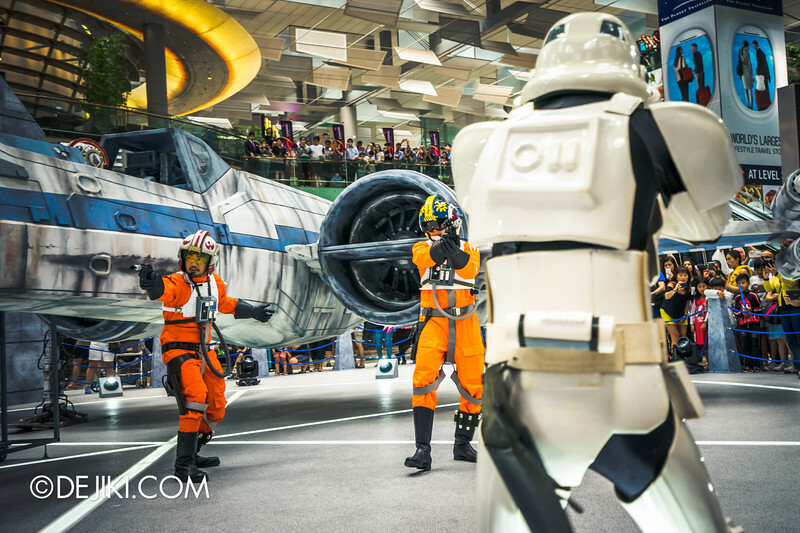 Visit the Star Wars at Changi website for more details on the event, which will run from now till 5 January 2016. It’s here! 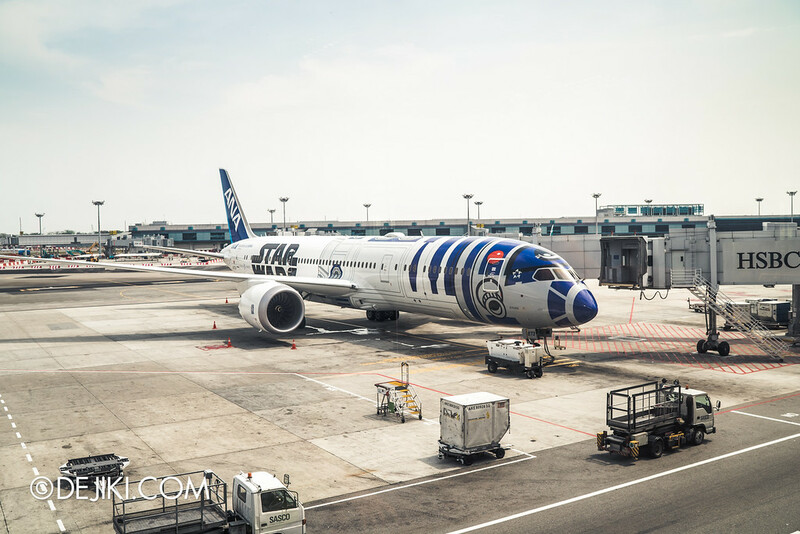 Step inside the R2-D2 ANA JET now!